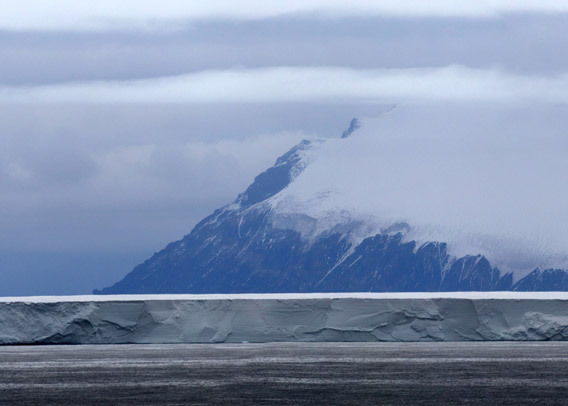 Huge tabular iceberg in front of Beaufort Island in the Ross Sea. The iceberg is many kilometers long and has broken off the Ross Ice Shelf. Beaufort Island is 21 kilometers north of Ross Island, of volcanic origin and 771 meters high.